Natalie Nunn and Hardeep Singh Kohli are to be the first housemates to face eviction from the Celebrity Big Brother house. They were picked in the first set of secret nominations by their fellow housemates in the Channel 5 reality show. 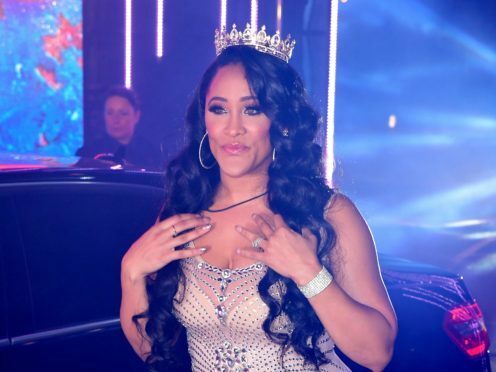 US reality star Natalie Nunn got eight nominations while comedian and broadcaster Hardeep Singh Kohli got six nods to face a public vote in this week’s eviction show. Being a negative influence, making one of the other housemates cry and really bad snoring are some of the reasons housemates gave as their reasons for the nominations. Former Arsenal and Liverpool footballer Jermaine Pennant was saved from being nominated as he was given a pardon from house president Kirstie Alley. He was granted immunity after the US actress heard pleas from the housemates for survival. Pennant picked Nunn saying “she made one of the housemantes cry” and also he felt Singh Kohli’s pretty bad “snoring” was at least one good reason for him to be put him up for the chop. The contestants took their chance to say some of the things that have been niggling them as their views on who they would like to see leave first were aired in Tuesday’s episode. Singh Kohli said Nunn felt like “a negative influence” as he picked her. She added: “He has to go”. Actress Roxanne Pallett opted for Singh Kohli saying he can “create a tense atmosphere” and said Nunn, despite being a “strong, sassy, vocal, passionate woman”, was also part of a massive argument and it was overwhelming. Both self-professed cosmetic surgery addict Rodrigo Alves and Sally Morgan described Singh Kohli as being “inappropriate”. His snoring and farting was not lost on Alves who suggested it as a reason for his nomination. TV and stage psychic Morgan said Singh Kohli could use his intelligence as a “manipulative weapon”. Former The Only Way Is Essex star Dan Osborne and businessman and property developer Ben Jardine did not receive a single nomiation.